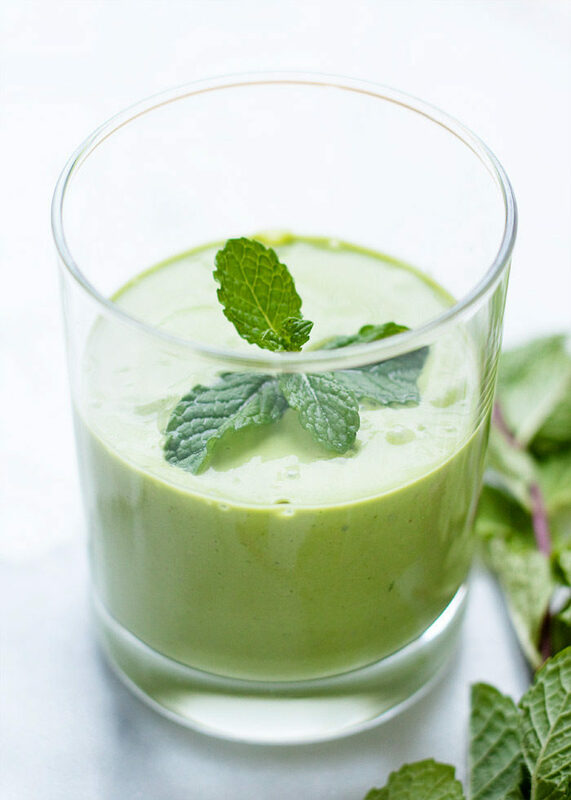 This super simple smoothie recipe is entirely dairy-free and vegan, and perfect for St. Patty’s Day! 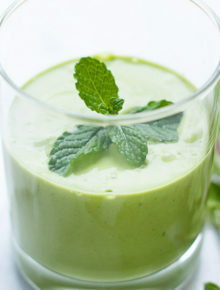 Colored green with spinach and fresh mint, with a banana and cashew base. Protein, vitamins, and deliciousness! I admit it – I can’t remember the last time I had a legit shamrock shake from McD’s. I think I had one in the name of research when I was creating this recipe. 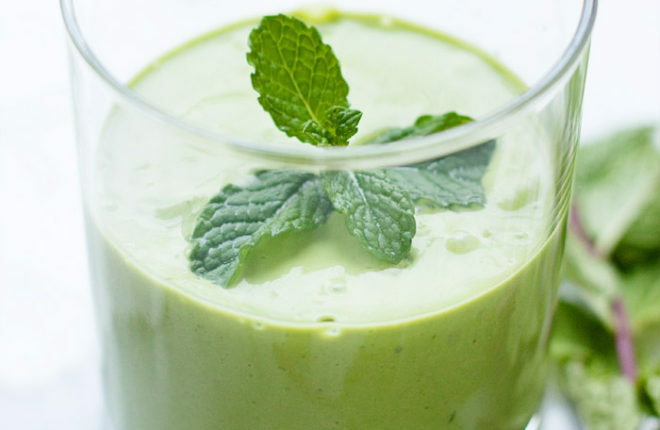 These days, I’m much more likely to be found drinking a healthy shamrock shake smoothie like this one over a McDonald’s version or even my own boozy rendition. Call it boring, call it living healthier … call it 8 a.m. I’m pretty dang okay with this healthy shamrock shake over any other version. So what do we have here? An easy peasy list of ingredients, that’s what. Three base ingredients, a couple of things thrown in for flavor, voila. 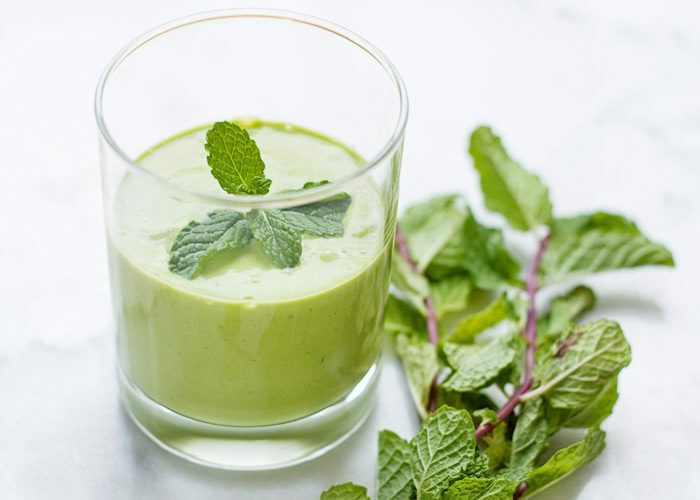 Nourishing, refreshing, and St. Patrick’s Day appropriate deliciousness. I started with one of my favorite smoothie bases – raw cashews and water! 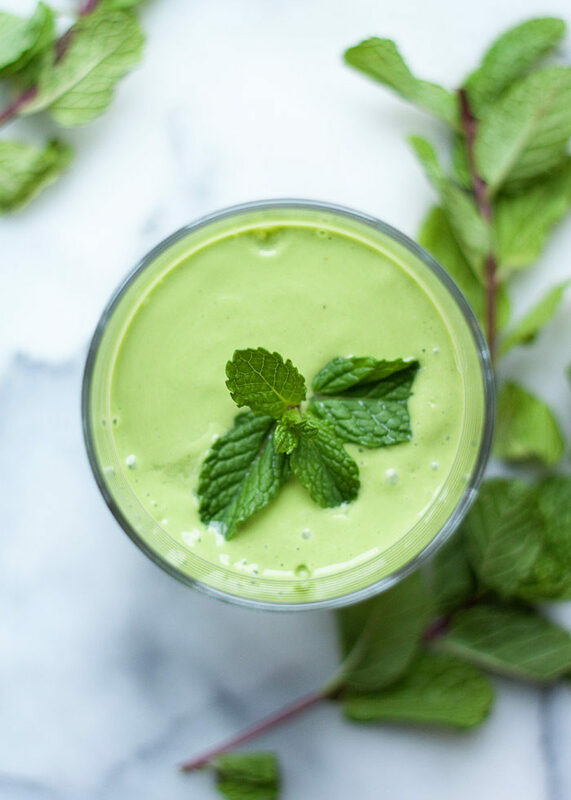 I use the same base for my cashew vanilla smoothie, which was adapted from one of the best green smoothie recipes around from The Blender Girl. In her recipe, she soaks the cashews first. Me, I can barely plan ahead enough to freeze a banana, let alone soak cashews. I’ve found that with my Vitamix, I’m able to whip unsoaked cashews into a plenty-creamy base. Perfect for non-planners like me! For flavor, we’ve got your standard vanilla extract. You can add a couple of drops of peppermint extract, or go with fresh peppermint. Many months of the year, we have mint going crazy in our garden, but not in March. Hooray for grocery stores! Another thing I love about this smoothie is that I find there is no need to add any sweeteners. The banana and the cashews add plenty of sweetness. Score! Top o’ the smoothie to ya, friends. And all the rest, too. Place all ingredients in a high-speed blender. Puree until smooth. Serve. * Feel free to use an unfrozen banana. I just suggest adding a handful of ice cubes to the mix to make your smoothie nice and cold. Sounds wonderful! Since I have an older, “regular” blender that may not pulverize the cashews enough (and no raw cashews on hand), would there be a suitable substitute for the cashews that you could suggest? Thanks so much! Awww…..cashew milk makes so mush sense! (And I almost always have almond milk.) Thanks!